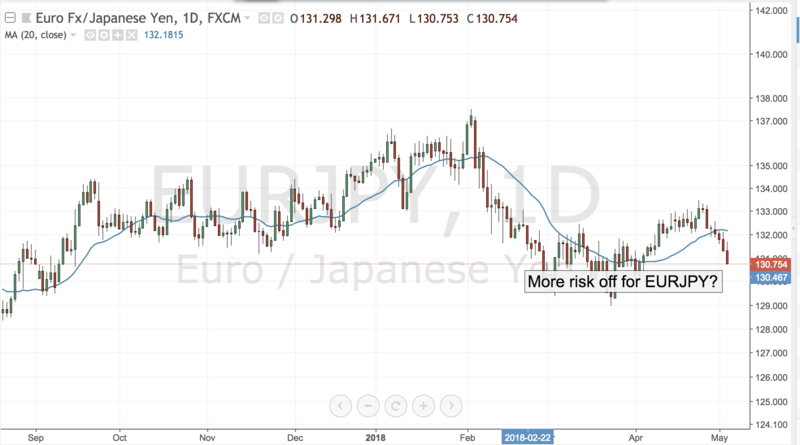 More Risk off for EURJPY? As the S&P broke its 200-day moving average EURJPY was dragged lower as risk-off flows dominated the day. 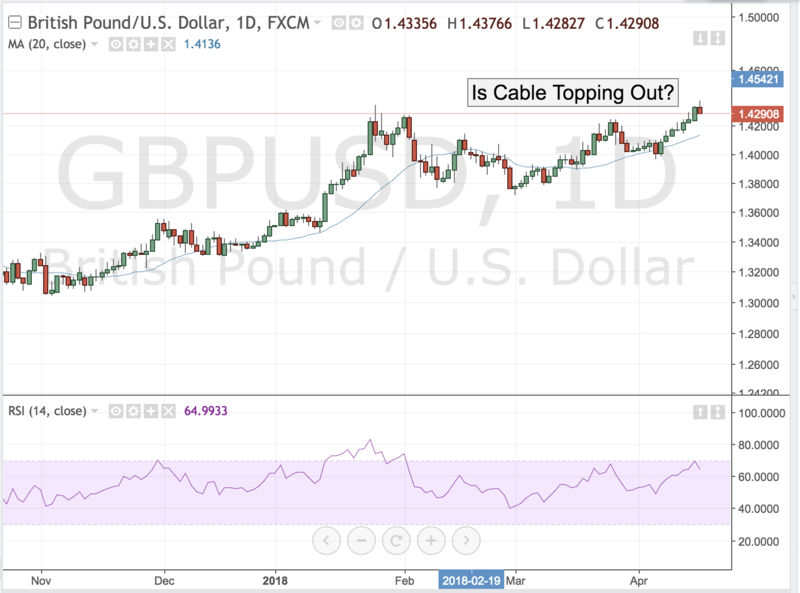 Could this move persist? Quite possibly as US data continues to disappoint with latest ISM Non-Manufacturing coming in weak. With employment subcomponent dropping by 3 points, chances that NFP tomorrow will miss their mark as well are quite good. All of this has cast a pall over equities which are disappointed by subpar US growth and are starting to price in a slowdown in earnings. Meanwhile, the unwind in USDJPY and euro’s relative weakness could continue to weigh on EURJPY which is trading at one month lows and could probe the key 130.00 figure if the job numbers disappoint. 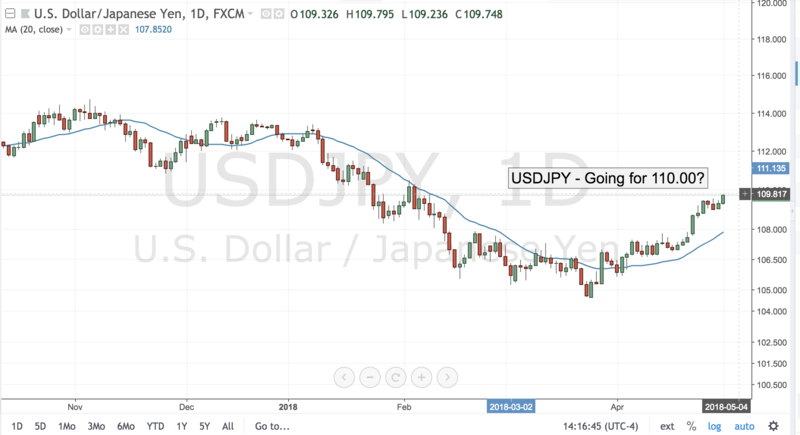 USDJPY – Going for 110.00? Despite less than stellar US data, USDJPY shrugged off concerns over slowdown and plowed ahead as the bulls have 110.00 firmly in view. Tomorrow the market will get a look at ADP and FOMC statement and as long as jobs print at 175K or better and the Fed reaffirms its hawkish stance the markets are likely to test the ket resistance within the next few days. Although US economy shows some signs of a slowdown, it remains well in expansionary territory and its monetary policy continues to be the most restrictive in the G-11 universe and that above all else is keeping USDJPY propped up for the time being. 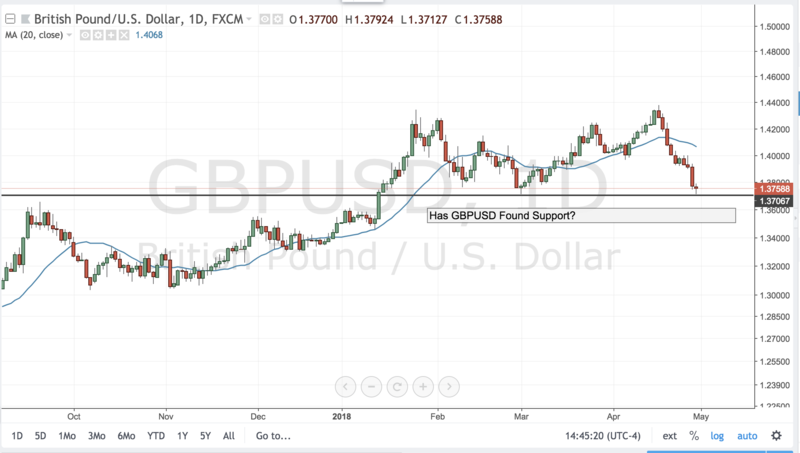 EURUSD – Ready to Break 1.2200? EURUSD has flirted with 1.2200 support for several days now. The level is critical as it represents a quadruple bottom all the way from 2017. 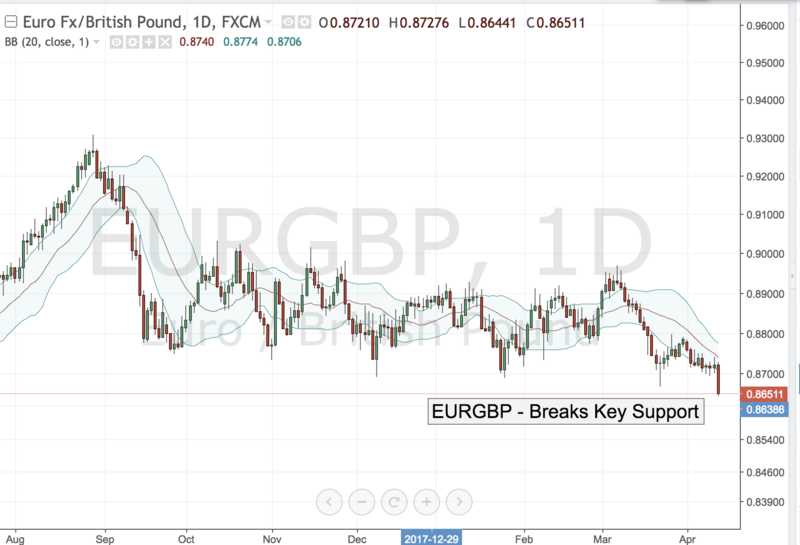 There are however good reasons to think that the pair may ready to break that key support level. As US rates are climbing through the 3% level the ECB is getting left further and further behind. IFO economists predicted today hat German GDP would increase at 0.4% versus 0.6% rate of Q4 which is consistent with the latest PMI reading from the EZ. 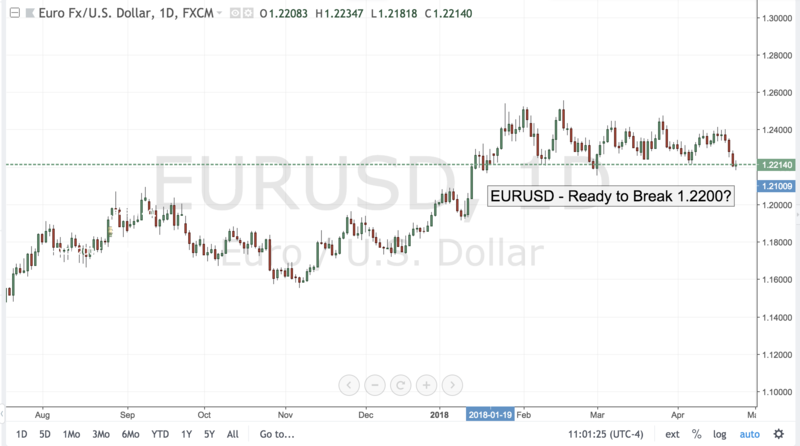 The news is likely to keep ECB firmly neutral in its monetary policy stance on Thursday and the single currency could see further weakness if President Draghi suggests that the central bank many not consider tightening rates until well into 2019. If 1.2250 is given, the shorts will target 1.2000 as the next level of decline. Yesterday’s dovish BOC statement send USDCAD back above the 1.2600 figure -- a move that no doubt pleased the Canadian monetary officials who want to see the value of the currency remain relatively low. But the rally could be short-lived if the data continues to surprise to the upside. 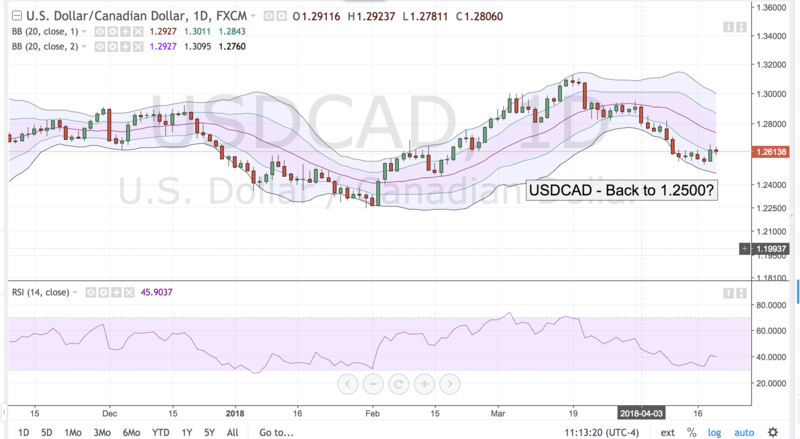 Tommorrow the market will get a look at CPI and Retail Sales Reports and although both datasets are projected to be a bit lower than the month prior and upwards surprise could send USDCAD back to a retest of the 1.2500 level. Despite Governor Poloz’s caution, the central bank has not ruled out the prospect of another rate hike in May, and some analysts continue to believe that the BOC will act. Furthermore, with oil prices within a dollar of the key $70/bbl mark, the Canadian economy could absorb a rate hike with relative ease so the loonie could still have some juice left in the trade if the data provides the catalyst. USDJPY – Ready for 108.00? After having everything but the kitchen sink thrown at it over the past few days USDJPY has managed to withhold the risk aversion flows and trade above the 107.00 level by end of trade today. The never-ending political chaos in Washington DC no longer seems to have much impact on the pair as the friction over the trade tensions with China eased with President’s Xi’s conciliatory speech and President Trump’s never-ending legal problems are now ignored by the market. There is still risk that Trump could bomb Syria in response to the chemical gas attack, but unless that action is followed by expansion of military activities the market may ignore it as well. Meanwhile, on the economic front, there is a lot o like for dollar bulls. Today’s hotter than expected PPI numbers suggest that CPI could rise as well, further solidifying the case for another Fed rate hike and tomorrow’s release of FOMC minutes is likely to confirm that the Fed will maintain its tightening bias. Technically the USDJPY pair has made a solid inverted head and shoulders bottom and now looks like its ready to challenge the 108.00 figure if data proves supportive. 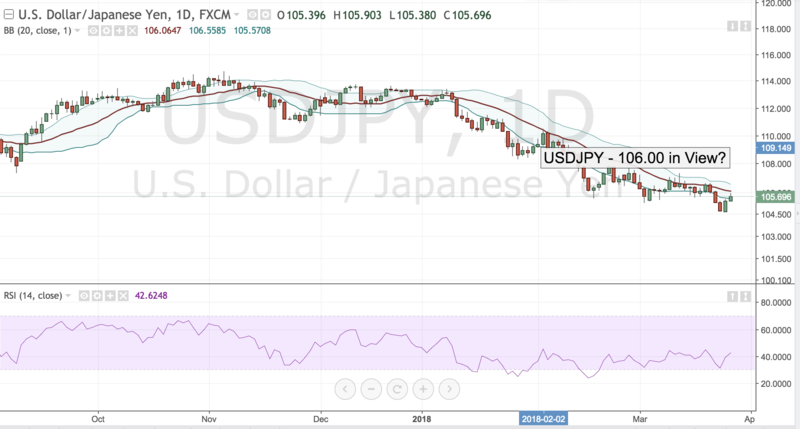 USDJPY – Is the Bottom In? 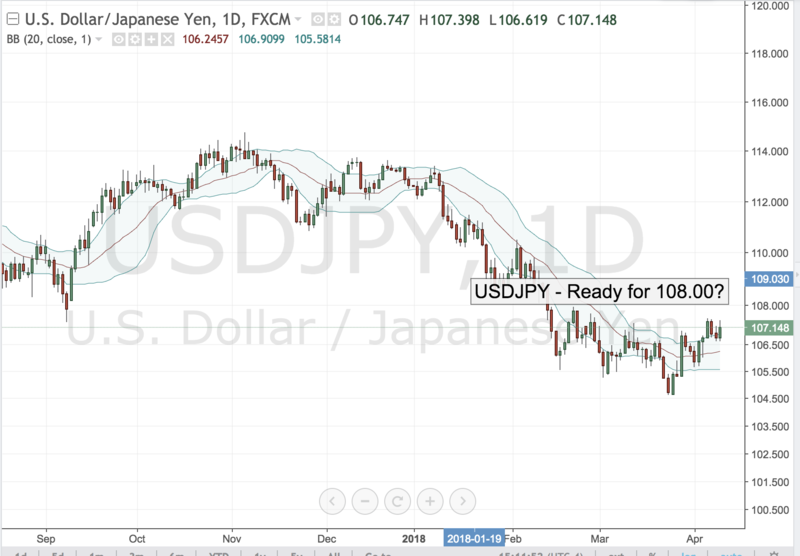 USDJPY has been in a three-day selloff driven lower by risk aversion flows, but today the pair has managed to stage a comeback and is closing well above the 106.00 level. The markets appear to have stabilized after yet another wave of Trump rants on twitter and traders will now likely focus on the real business at hand as a series of key US economic reports are about to be released this week. First on deck will be the ADP data due tomorrow at 8:15 EST and then the ISM Non- Manufacturing. Unless both reports widely miss their mark, they should prove positive for the pair confirming that US economy continues to grow steadily and that the Fed will maintain its rate hike policy for the foreseeable future. Technically, USDJPY has made inverse head and shoulders bottom, which tends to be a very robust bottoming pattern and looks ready to make another run at the 107.00 figure. USDJPY – 106.00 in View? Second day in a row that USDJPY is up as risk assets continue to rise but yields remain depressed. The pair has been so grossly oversold that some sort of rebound was due but for now the 106.00 figure remains formidable resistance. Tomorrow the market will get a look at the final revision of US GDP which is expected to come in at 2.7% versus 2.5% original forecast. If the number meets or better yet rises towards the 3.0% level the upside in USDJPY could be substantial. Faster than expected growth in Q4 would suggest that 2018 growth could approach 3% and therefore push US 10 year yields above the key 3% mark. All of that would be positive for USDJPY and the pair could run as high as 107.00 as short covering flows kick in.